Set in Cornwall and steeped in a strange concoction of folklore from Greek myth to Faust via Arthurian legend, James Treadwell’s Advent is an eerie fantasy in the tradition of Alan Garner and Susan Cooper, in which ancient magic surges back into being in modern day rural England. It’s apparently aimed at a young adult readership – at least, that was the section in which I found it at Waterstone’s and the main character is a misunderstood 15-year-old. But, like Garner’s Red Shift and The Owl Service, its plot and themes are complex and multi-layered with a huge sense of historic scale, and it more than stands up to an adult readership. 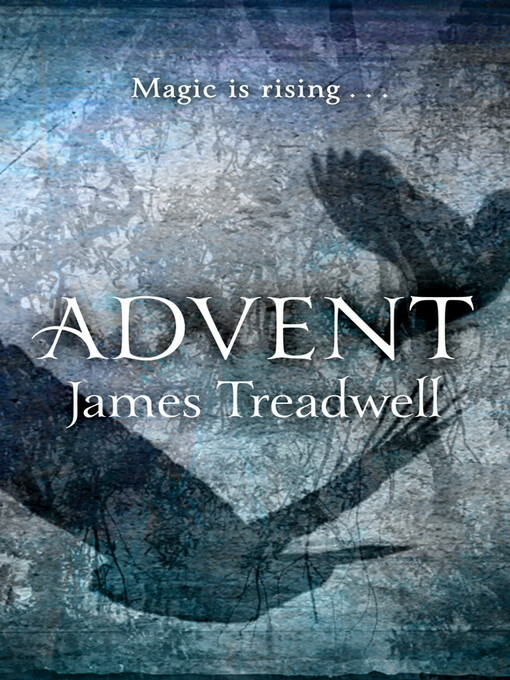 In fact, I would guess that some younger teenagers might struggle with elements of Advent (although that is, of course, no reason for them not to read it; I’m all for younger readers being challenged and accepting that sometimes the most valuable reads are the ones you don’t quite understand). If I have any criticisms of Advent, it’s that there are times when some of the many different elements just didn’t seem to gel quite as cohesively as I wanted them to – although I can’t say I didn’t enjoy each part individually – and there were one or two times when I felt the flashback sections about a mysterious magus (who turns out to be a familiar character from literature and legend) were just a little too overblown in their angsty seriousness. However, the gradual descent of the magus from a dedicated, experimental scholar into something desperate, bitter and rotten-to-the-core is chilling and impressive. Gavin – or Gawain, as he later becomes – is a wholly likeable protagonist. A confused, lonely teenage boy whose relationship with his parents is difficult at best, it would have been easy to make him self-pitying, brattish or, horror of horrors, just a little bit emo. But Treadwell never falls into this trap. Gavin, who has been seeing things that aren't there all his life, is struggling through his teens trying to do the right thing, trying not to disappoint; at the same time, he’s realistically angry that his parents and teachers would rather he was superficially ‘normal’ than truthful. Other characters are fun too, particularly secretive, cunning little Horace Jia and ‘nutty professor’ Hester Lightfoot. The inhabitants of Pendurra, the vast Cornish mansion to which Gavin is sent to stay with his kind, eccentric Auntie Gwen, were perhaps not quite as three-dimensional, but Advent isn’t really ‘their’ story (not yet anyway – the novel is apparently the first in a trilogy) so perhaps that’s understandable. Auntie Gwen herself, however, practically leaps off the page, which for reasons that become clear as you read the book, is a particularly clever feat on Treadwell’s part. Undoubtedly my favourite supporting players, though, are Corbo and Holly. One a sinister, croaking man-crow and the other the living spirit of a tree, they are the reluctant servants of evil. Fabulously other-worldly in some ways and yet simultaneously intrinsically of this world in others, they are vividly memorable fantasy creations. After a mysterious yet pleasantly ambling start, Advent accelerates into fast-paced action and tension towards its end. It’s a long read for a young adult novel, at over 400 pages, and I’ve seen other reviews claiming it needed a tighter edit – but I never felt that was so. For me, almost every word was a pleasure, and the gradual world-building of the beginning was a masterclass in conjuring the sort of atmosphere that makes this book special. The final chapter seems to be very much part of the second book in the planned trilogy. In fact, I’d almost rather it had been left out altogether for that reason, or perhaps just ‘trailed’ as a teaser as is common for sequels these days, but that’s rather beside the point: I thoroughly enjoyed Advent and am only aggrieved that I’ll have to wait before I can get stuck into the as-yet-unpublished book two.